Our school, which is specialized in computer technology, has been named after John von Neumann, mathematician and father of informatics, who was born in Budapest, and lived in Germany and in the USA. There are 30 classrooms, 15 computer labs, a gym and a body building room, a library, a kitchen, a dining hall, and a buffet. The labs are equipped with computers of the latest technology, with Internet and intranet. Our main goals are to prepare children (14-18) for the matura as well as for entering the university, and we also train them for IT professions. Before matura exams, students obtain basic knowledge on informatics, they can choose a profession at the age of 18. 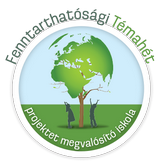 Our school runs COMENIUS 2000 Educational Quality Management Programme of the Hungarian Ministry of Education. • reliable and able to take a responsible position. We prepare students to sit for the national matura exams (both O and A levels) in order to be able to enter the labour market or continue their studies at a higher level. After taking the matura, students can automatically go on for vocational education in various fields of information technology in the Regional Vocational Centre, of which the school is a member institute. Depending on the major, at the end of the 13th or 14th year, students must pass an exam to get their qualification. We are able to train disabled students, students with special needs (i.e. students with sight- or hearing problems, physical disabilities as well as students with learning difficulties). We consider it useful for all of the students as it deepens understanding and tolerance, and also gives the disabled a chance to get trained and find jobs. Students with additional eduactional needs attend either mainstream classes or in special groups, depending on their abilities as well as personal requirements. 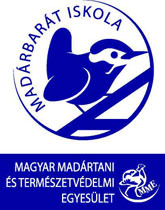 We are in the 14th district of Budapest, easily accessible from almost all parts of the capital or most of the suburbs. From Örs vezér Square, you can walk along the local train line or take the trolley No. 81 and get off at the second stop. How do children gain admission to our school? We are expecting children interested in computer technology, having finished the elementary school, successfully passed the central entrance exam. We are aware of the challenges of the constantly changing world of informatics. We aim at education and training at a wide range of this field. Microsoft and Oracle Academies: students have the possibility to learn thoroughly what the labour market expects from them. Nokia Komárom Ltd., General Electric Hungary Co., CITIBANK, Ericsson Hungary Ltd., Oracle Hungary Ltd., Navi-Gate Ltd., HP Hungary Ltd.
1. Learning from one another (teachers and students). 2. Open school independence and responsibility. 4. Being proud of our school!